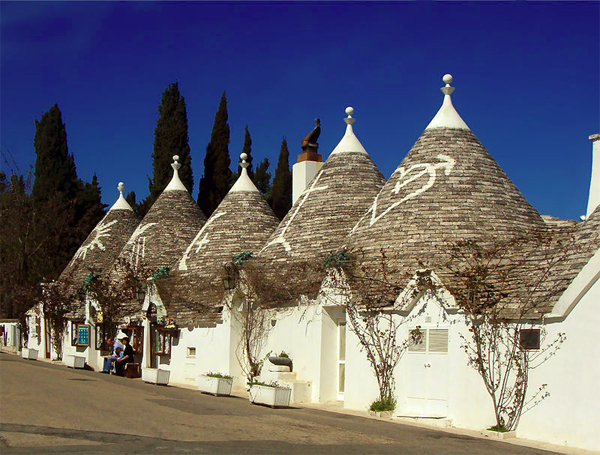 Can you imagine a village or town, where all the buildings have conical roofs. Can you think, how the streets, the pavements, the squares and the school of this town, would look like? If your house, had a cylindrical floor plan and your room was round, where would you place your bed? And what about your classroom? Would you like to have a round classroom? 1. 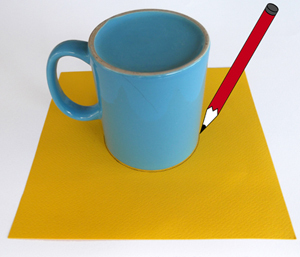 Cut a piece of colored paper and place the mug above. With the pencil trace around the mug to draw the circle. 2. Remove the mug. You must see a circle. 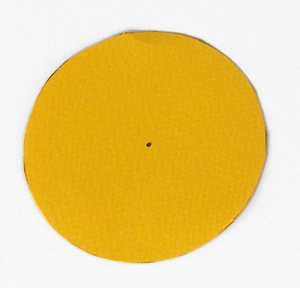 With the pencil, draw a dot around the center of this circle. 3. 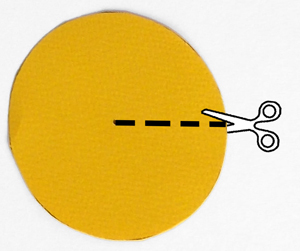 Use the scissors to cut the circle. 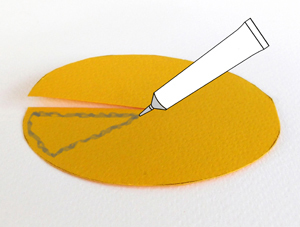 At fisrt, make a cut from the edge of the paper to the perimeter of the circle and then start cutting along the circle. 4. When finished, you must have a paper circle. 5. 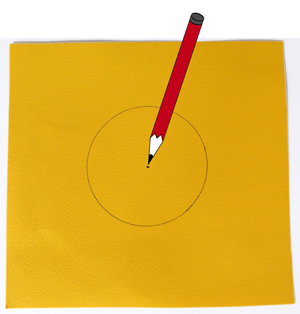 Make another straight cut from the perimeter of the circle to the center of the circle (until you reach the dot you drew previously). 6. 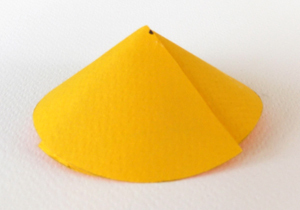 Apply some glue on the one side of the cutting, creating a triangle with the glue. 7. 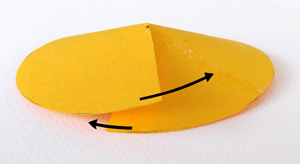 Bring the other side of the cutting above the glued side and press them gently with your fingers. 8. Allow the glue to dry. The paper cone is ready. 9. 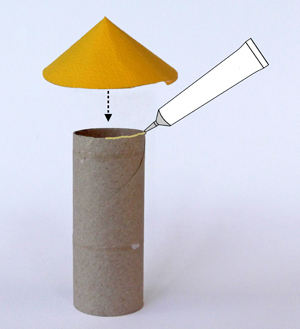 Apply some glue at the one edge of the paper roll and place the roof above. Press gently and allow the pieces to glue with each other. 10. The basic structure of the building is ready. The only thing left are the windows and doors. There are dozens of ways to add windows and doors to your house. 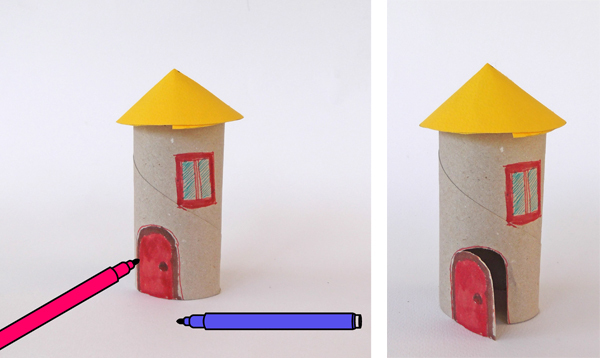 You can for example draw architectural details directly onto the paper roll, with the markers. Moreover, you can cut with scissors the profile of the door to allow the opening and closing of the door. 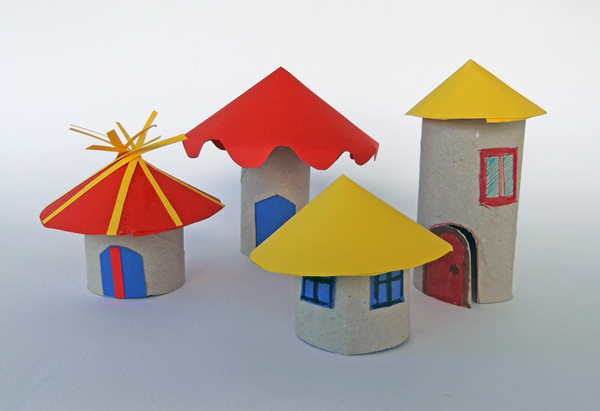 You can also cut small colored paper pieces in the shape of a window or a door and glue them onto the building. 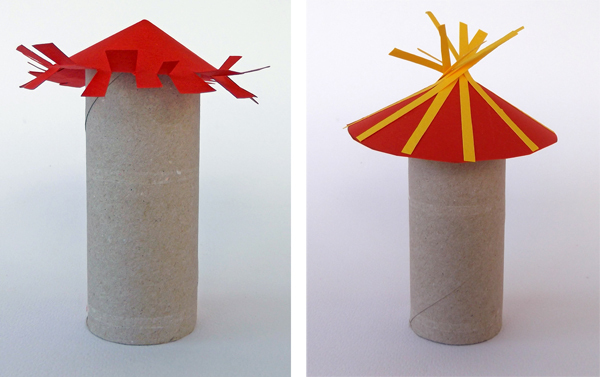 Another idea, is to draw onto a piece of white paper architectural details, cut them and glue them onto the paper roll. 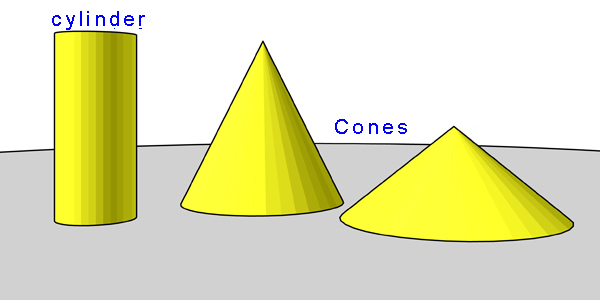 To make a cone with larger base, all you have to do is to draw a larger circle. Try, to use intead of a mug a small plate. What other object you could use, to draw circles of varied diameters? 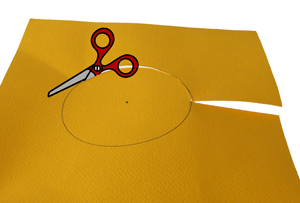 With the scissors, try to cut the perimeter of circle like a wave. 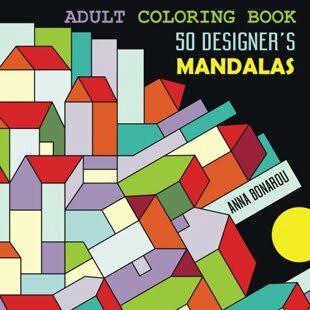 Use your markers and the colored papers to make more imaginative roofs. If you cut the roll in half, you'll have two paper rolls instead of one. Of course the houses will be lower. 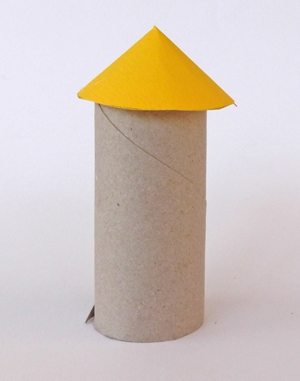 The toilet paper roll house as a geometric shape consists of two basic 3d shapes: A cylinder and a cone. 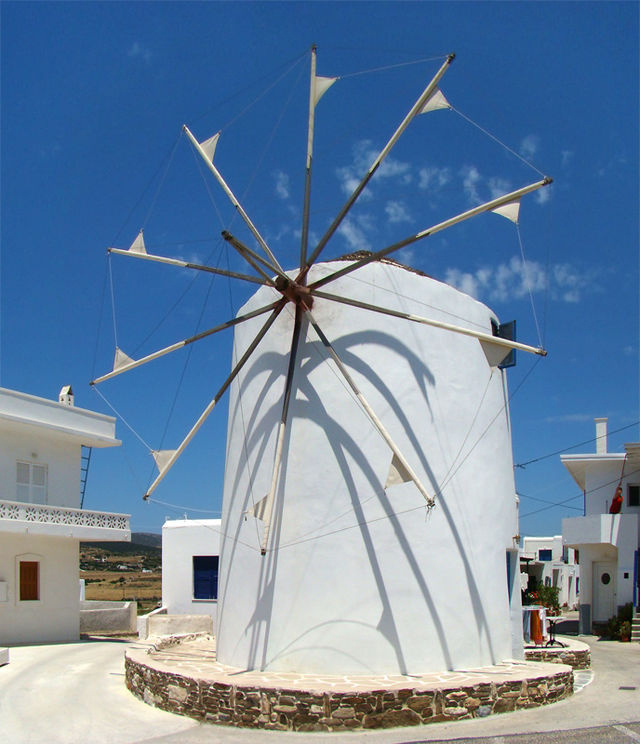 Windmills, are buildings with similar geometry: their walls form a cylinder and their roof is conical. Windmill in a greek island.